Here's our complete guide to the Monster Hunter World Gathering Hub area, including how to embark on missions, and more. In Monster Hunter World, the Gathering Hub Area will act as your primary base for all your expeditions into the new continent on which the game is set. 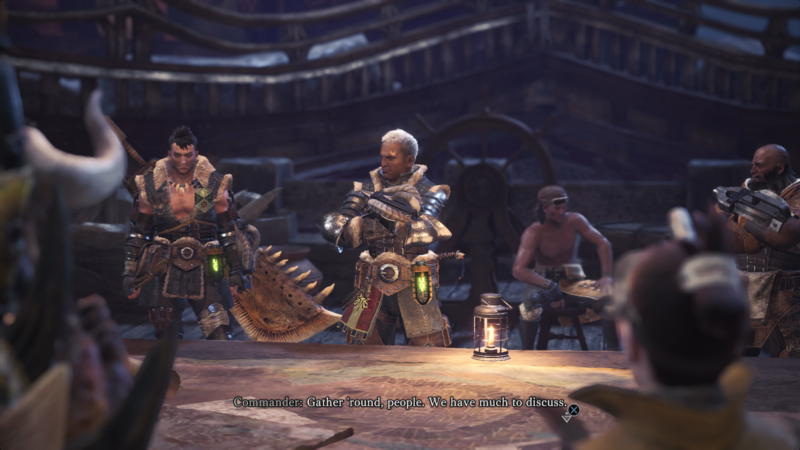 In this Monster Hunter World Gathering Hub Area guide, we’ll be walking you through every NPC character and vendor you can find in the hub, as well as all the activities you can undertake from the base. If you need anything else at all on the expansive game of Monster Hunter World, including how to master the Scoutflies, as well as beginner’s guide to the game, head over to our Monster Hunter World guides walkthrough hub. After you’ve completed the opening mission of Monster Hunter World, making it safely to the base camp with the Handler, you’ll be welcomed into the Gathering Hub area, which acts as the primary hub area for Monster Hunter World. It’s from here that you can undertake and embark on missions and expeditions out into the wilds, and you can also engage with NPC characters to forge new gear and boost your existing items, among other things. Tradeyard - The ground floor of the hub area, you can find all the Commanders of the expedition gathered around a planning table, as well as the Resource Center and the Botanical Research area. Workshop - Here you can find both the Smithy and the Armory, both of which can both enhance your existing weapons and armor, as well as forging brand new items for you. Canteen - As well as the Canteen, where you can purchase food platters that will give you boosts for you upcoming missions, you can also find the Handler sitting nearby, who will occasionally give you quests. Gathering Hub - This is the multiplayer area, where you can go to hang out with people online, as well as take on special arena quests to earn rewards. 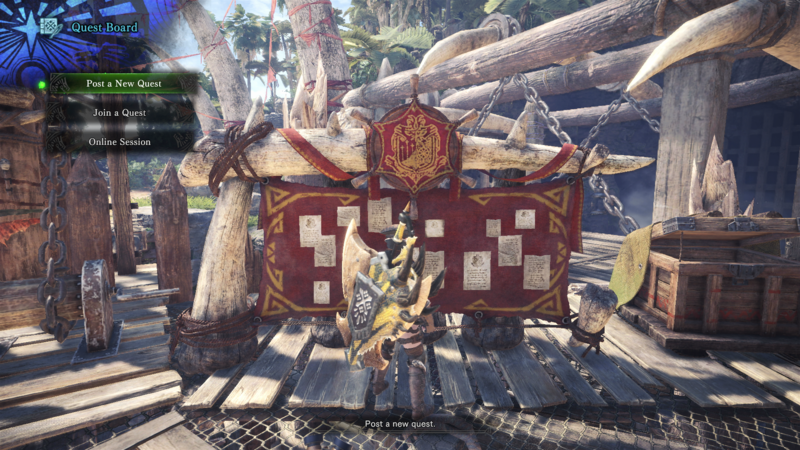 Note that there are quest boards at every above area throughout the hub, which you can use to either undertake story missions, side missions that have been assigned to you by NPCs such as the Handler, or join the online session of another player, helping them out in their monster hunt. The actual Gathering Hub is located at the very top floor of the overall hub area, and it’s where you’ll go to meet up with other players online. Here you can take on other players in arm wrestling contests to prove your strength, or you can take on arena quests to earn special rewards. Use the Gathering Hub area to find a crew to embark online with, if you’re looking for players to join you to take down a specific powerful monster. As you progress through Monster Hunter World, defeating more powerful monsters and completing quests, you’ll unlock new options within the hub area. This mainly pertains to the Workshop area, as for every new monster that you take down, you’ll be presented with the opportunity of creating a new set of armor from the Smithy. 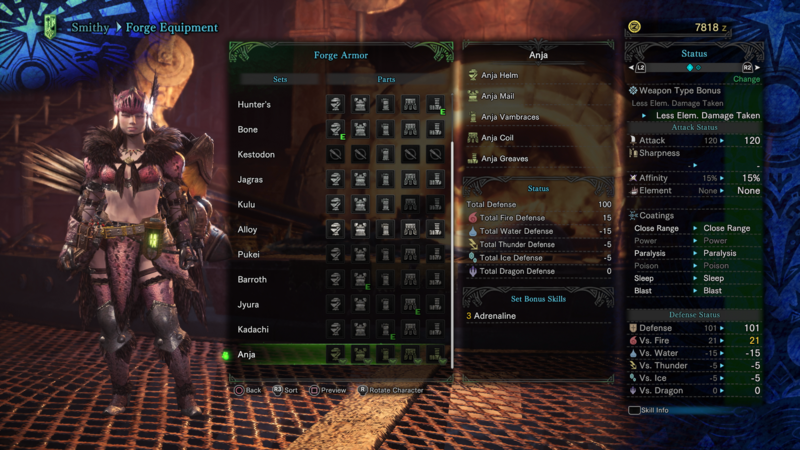 For example, if you defeat an Anjanath, you’ll have the option of creating the Anja armor set within the Workshop. Now that we've concluded our guide on the Monster Hunter World Gathering Hub area, why not check out our additional guides on the expansive game, including our complete armor guide, as well as our guide on how to capture monsters.